Editor's reply: Sorry Monique, comics didn't actually come in plastic. A collector bagged and boarded this. As you can see here (click for eBay prices), even in perfect condition it's worth only about $5. Yours is not in great shape for a modern comic book. 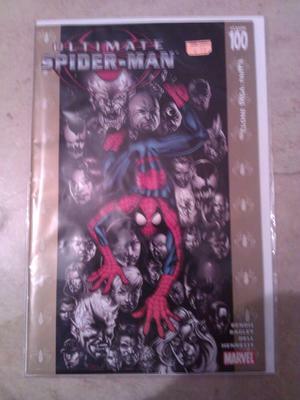 Even the popularity of Amazing Spider-Man comic books can't rescue the value of your book. Not a keeper.